UVO, take me back to 2003. It’s summer in the Poconos, basketball camp season, and our story begins with a skinny fourteen year old Asian-American shooting guard. His game is nothing too fancy; he’s right-hand dependent and only has a passable jump shot, but damn does have a quick first step and good ability to get to the rim. Sound familiar? It shouldn’t. I’m describing my teenage self. I have no idea know what Jeremy was doing when he was fourteen. It’s funny how that name stuck so easily, both to me and probably to many other Asian-American kids playing basketball in those years. Never mind that I wasn’t freakishly tall, or you know, Chinese. I suppose at least part of it had to do with the memorable, one-syllable nature of the name, but realistically, it was what it was: my fellow campers saw an Asian kid playing ball and made the easy, lazy connection. The moniker was comical sometimes, “Are you the one they call Yao Ming?” a coach once asked me while directing me for assignment to a new team. “What is this, a kung fu movie or a basketball camp?” I remember thinking to myself. But largely, being called “Yao” was a mildly amusing, sometimes annoying reality that I had to accept. This experience wasn’t traumatic or anything – I wasn’t the type to let that kind of thing get to me – but I bring it up to highlight what it was like having to sometimes deal with my race in the context of basketball growing up. People weren’t generally used to seeing an Asian kid on the basketball court. The only one they had really seen up close was a seven foot monster, manufactured and imported from the Far East. It made me different, and some people had a difficult time getting around that. This often resulted in having to deal with the usual questions and comments that you might expect from camp kids who don’t know any better: “Are you from China?”, fake asian accents, the occasional chink-eyes; nothing done with true malice, but certainly not fun to deal with either. Jeremy Lin has described in the media some of the adversity he faced growing up, and I suppose I was lucky in that my experience was far more innocuous. Looking back though, the experience made me uneasy as a basketball player. Like there was this very slight, subtle disconnect that separated me from the rest of the pack. A lack of legitimacy, of belonging. I was never the star on any team I played on growing up, even on the couple occasions when I really had the opportunity to do so if I had been more aggressive. It just never clicked. I couldn’t blend in. 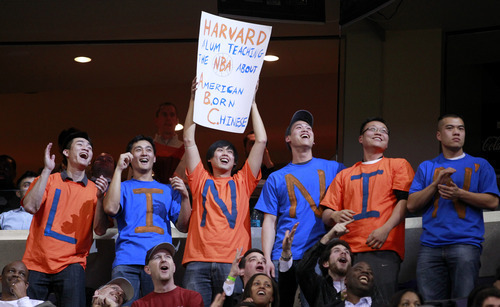 When Linsanity happened a decade later, it was the same thing all over again – except this time, it was as an Asian American Knicks fan that I felt out of place. Having dealt with being bucketed into “Yao”, and generally just trying my best to blend in while playing basketball growing up, with the onset of Linsanity, I felt separated from the basketball mainstream once again – being Asian came into conflict with the legitimacy of my status as a longtime, knowledgeable fan of New York Knicks, and basketball at large. I mentioned as much in a tweet to Alan Hahn, then one of the beat writers for the Knicks, and he replied, “Who cares what people think. Your passion and knowledge will reveal you as a true fan, bandwagoners can’t relate.” The words made sense, but were only of limited comfort. 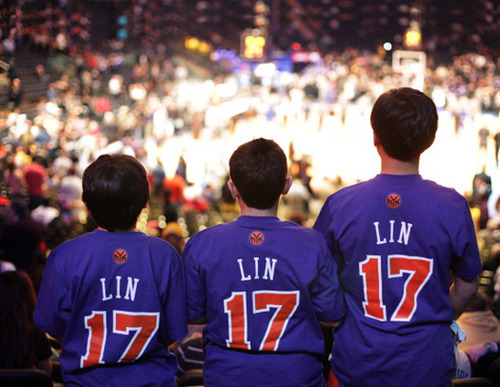 There were, and are to this day, fewer things more annoying about Jeremy Lin’s emergence than ‘Lin-only-fans’, and the thought of being associated with them horrified me. I had spent the better part of the previous six years studying the Knicks, through all their mediocrity, and yet, because of two critical weeks I wondered about my credibility in the public forum, I worried about being written off as one of those Lin-bandwagoners, and to this day, on occasion, I still do. I sound really cynical about my experience with Linsanity, but this brings me to what I see as the importance of the phenomenon, two years hence. To me, the name-calling, the feeling out of place as a player of basketball, having to deal with the cultish fanaticism and trying to establish myself as a serious fan of basketball, they’re all the growing pains of being part of a community that’s trying to gain a foothold in the sport of basketball. On the eve of Jeremy’s second homecoming to the Garden since he turned in orange and blue for red and white, we’re further along than we were two years ago, but we need more. 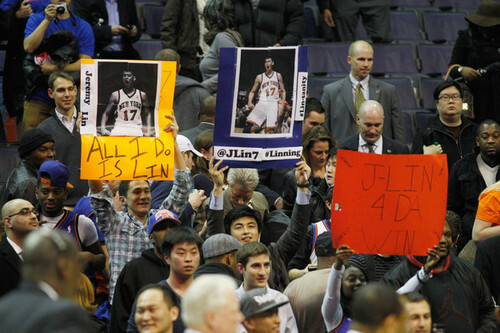 Linsanity is but a memory, preserved in our hearts and minds, but it’s embedded in our collective conscience. 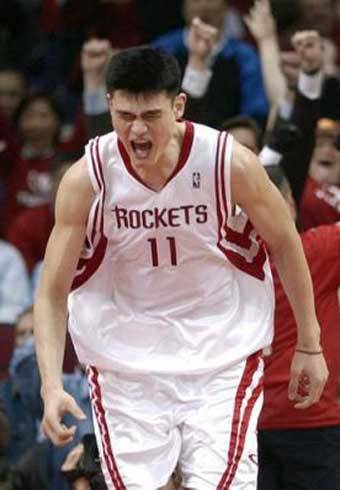 While Yao Ming proved that an Asian could cut it as a superstar in the NBA, Jeremy’s shown that an Asian born in the United States could do so without being gifted with freakish height or athleticism. 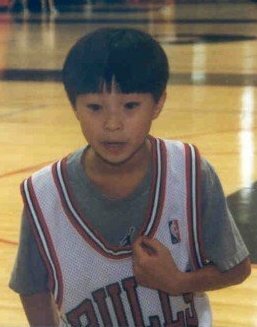 Now Asian American kids growing up playing ball have someone they can look up to, a hero they can identify with, and likewise, Asian basketball players should become less of an oddity in the world’s eyes. When the league eventually adds its second, its third, its fourth Asian Americans to its rosters, I hope the world cares less and less about Asians in basketball. I could ask for nothing more than the normalcy of just having us blend in on the court, judged solely on X’s and O’s and skill. We’re not there yet, but we’re getting there. I guess being called “Jeremy” nowadays instead of “Yao” is a sign of the times – at least it’s an American name. Maybe by the time the next generation grows up and hits the hardwood, they’ll be called by names that are theirs and theirs alone. — G.K.